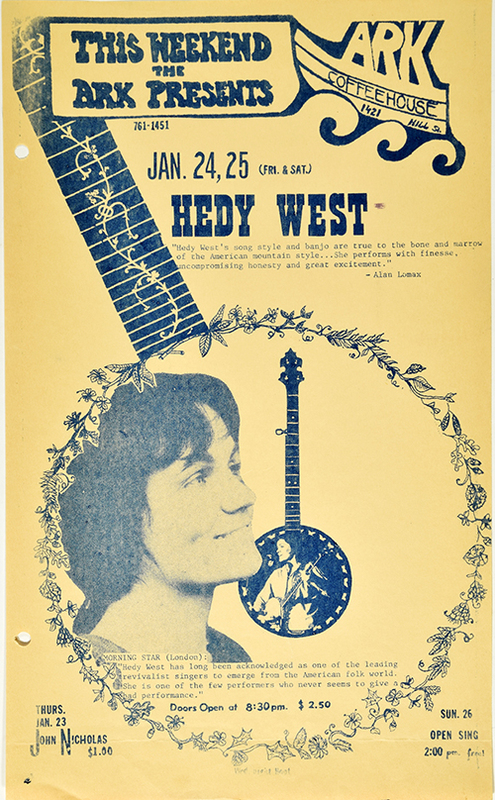 Hedy West (1938-2005) was an American folk musician and composer. A performer and participant in Asheville (N.C.) and Nashville (Tenn.) folk festivals since her youth, West was known for her singing, as well as for playing piano, banjo, and guitar. West moved to New York City in 1959 to attend Columbia University. A 1961 performance at the Indian Neck Festival in Connecticut led to her signing with Vanguard Records and releasing two solo albums. She also appeared on a number of compilation albums and released later works with Topic Records, FV Schallplatten, Folk-Legacy Records, and Bear Family Records. West lived in Los Angeles, England, and Germany in the 1960s, returning to the United States in 1970 to study composition at Stony Brook University. 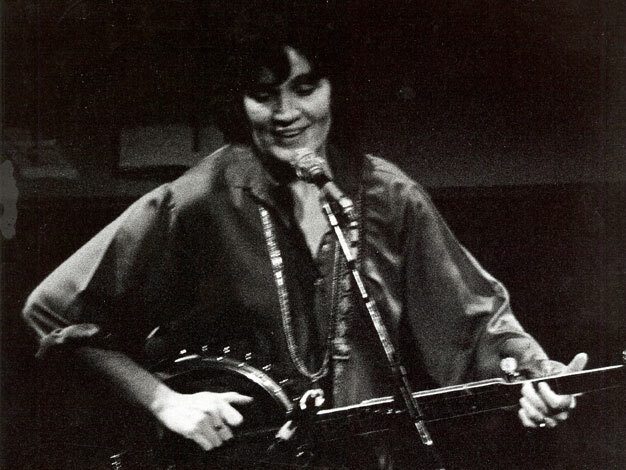 She taught classes in folk music at Stony Brook as an adjunct, and developed an oral history project recording interviews with her grandmother, folk performer Lillie Mulkey West. Hedy West received a grant from the National Endowment for the Arts for this undertaking.